​Today, I remember it like it was yesterday, but it was a year ago – October 2015. 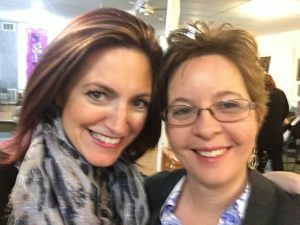 I was in Lily Dale, NY with Psychic Medium Lisa Williams. I was finishing my Master Teacher training with her, along with five other advanced Psychic Mediums. It was a very intensive three and a half weeks in person, after 7 months of online learning too. As part of our training, we had to create classes and meditations. Lisa also assigned each of us to create a specialized workshop. In class, we taught each other so we could gain feedback on what worked and what didn’t, as well get critiqued on our teaching methods. This often entailed mini-readings, and since we were only six students, Lisa would sit in as a participating “student” when one of us was teaching. This is where my life changed forever. At the end of the first week, Lisa and I happened to be paired up. We talked about my planned “specialized” workshop – the one I had already done most of the work on. I was stunned and confused. What could that be? At the time, I had been working professionally as a Psychic Medium for 8 years. What more could there be? So that day I kept thinking about it. What came to me was health. Actually, it came like this – “HEALTH”! You just never know how your life may change, but you do have to be open. I share this story with you as I embark on this journey as a medical intuitive. Thank you all for reading and for your continued to support. And thank you, Lisa, for opening my eyes to a very special gift that was buried. I am forever grateful. PreviousPrevious post:The Tie That BindsNextNext post:What happens spiritually when someone takes their own life?